Specialist in obstetrics and gynecology ( women’s health and maternity care ) . Dr. Felding graduated as a specialist in 1986. During her hospital education she worked at several hospitals in the Copenhagen area including the Municipal Hospital , Roskilde County Hospital , the Deaconesses Foundation , Hillerød Central Hospital , Bispebjerg University Hospital , Herlev University Hospital , Hvidovre University Hospital and Glostrup University Hospital . Christine Felding also has some international experience , she has regularly worked in Sweden , Norway and Finland, as well as in more exotic countries such as Hungary and Saudi Arabia. Dr. Felding speaks (in addition to Danish ) Swedish and English fluently , as well as excellent German and French. She has since 1996 had a clinic at Skodsborg Health and since November 1997 has had its own clinic – first in Allerød until the summer of 2005 – now in Rungsted .In addition to her work with patients , Dr. Christine Felding also an extensive lecturer . She is a ” traveler ” in Menopause and HRT – for and against ,” where she provides information and advice on particular issues e.g. : Hot flashes , osteoporosis , urinary Incontinence and cardiovascular disease . 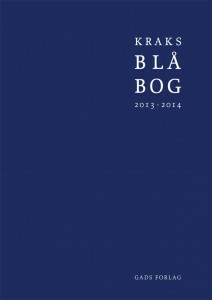 Dr. Felding is in Kraks Blue Book ( Danish version of ‘Who is Who’) that contains 8,407 biographies of the most significant contemporary Danish, Greenlandic and Faroese women and men – figures who are helping to set the agenda for business, culture and government. Dr Priya Chauhan has specialization in gynecology from two countries namely India (1991) and Denmark (2001)). She has a very broad experience both in obstetrics and gynecology. She worked as a specialist in India before she came to Denmark in 1993. Her main expertise is in infertility and `minimal invasive surgery’ like hysteroscopic operations. She is fluent in Danish, English, Hindi and Urdu. She actively participates in various conferences and has presented posters and lectures in several scientific conferences. She won the gold medal for the highest marks in her specialist degree in India and as best oral presentation in NFOG Congress (2004).She is a member of the academic societies like DSOG (Danish Society of Obstetrics and Gynecology), DIS (Danish fertility Society), ESHRE (European Society of Human Reproduction and Embryology), ISMAAR (International Society for Mild Approaches in Assisted Reproduction) and AAGL (Advancing minimally invasive gynecology worldwide).